When it comes to getting into a vehicle that can hold a large amount of cargo and carry up to eight passengers, minivans are the best options. At Charlottetown Toyota in Charlottetown, Prince Edward Island (PEI), we house a vast array of new Toyotas in stock including the 2015 Toyota Sienna. As one of Canada’s premier Toyota dealerships, we have served PEI for a number of years with our best prices on vehicles. Stop by Charlottetown Toyota at 1 Superior Crescent and discover a new Sienna today. 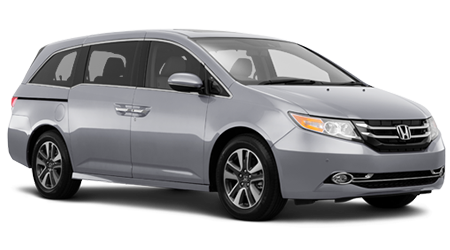 Minivans are some of the most versatile vehicles on the market today, so let’s compare the 2016 Toyota Sienna against the Honda Odyssey. While minivans aren’t recognized for their sporty characteristics, the Sienna is capable of providing you with the ability to tackle a variety of driving situations with ease. The Sienna comes with a 3.5-L V-6 that makes 266 hp, while the Odyssey has a 3.5-L V-6 that produces 248 hp. 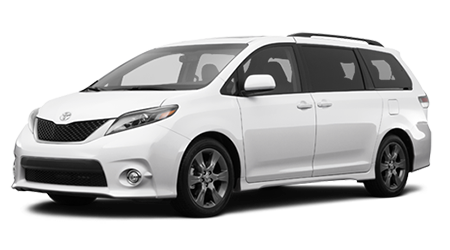 If you’ve been looking for a minivan that can provide you with a sporty ride, then the Sienna is the best option. Both minivans come with an extensive warranty to provide you with the confidence to use the vehicle on a routine basis. The Sienna comes with a 3-yr./60,000-km basic warranty, 5-yr./100,000-km powertrain warranty and 5-yr./unlimited-km corrosion perforation warranty. With the Sienna’s incredible warranty, you’ll never have to worry about something going wrong with the vehicle. If you’ve been looking for a minivan that can seat up to eight passengers with ease and hold an incredible amount of cargo, then check out the 2015 Toyota Sienna. With the Sienna’s powerful engine and extensive warranty, it has the upper hand over the Honda Odyssey. Come by Charlottetown Toyota in Charlottetown, Prince Edward Island (PEI) at 1 Superior Crescent and explore a Sienna today.